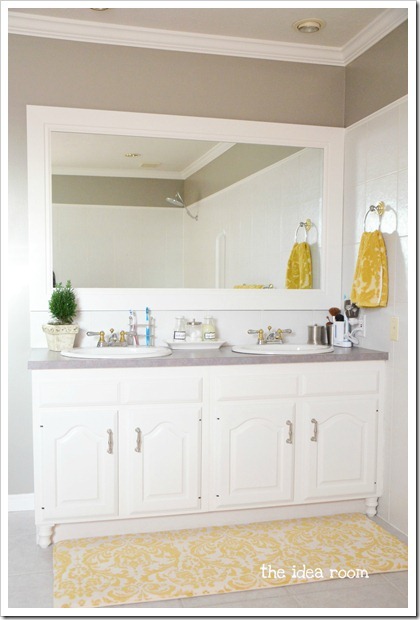 We recently updated our Master Bathroom by making a few simple changes. I have shared a few of the changes in some past posts as it is a work in progress. We are almost to the point where we can officially add it to the “finished project list”. But still have a few little things to work on. And if any of you have ever done a little remodeling, you know how long it can take to get to some of them. 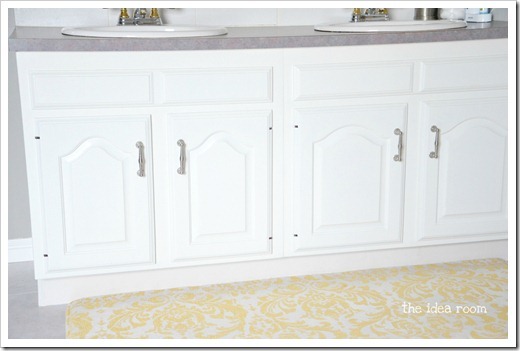 Today I want to share with you how we went about updating builder grade cabinets. 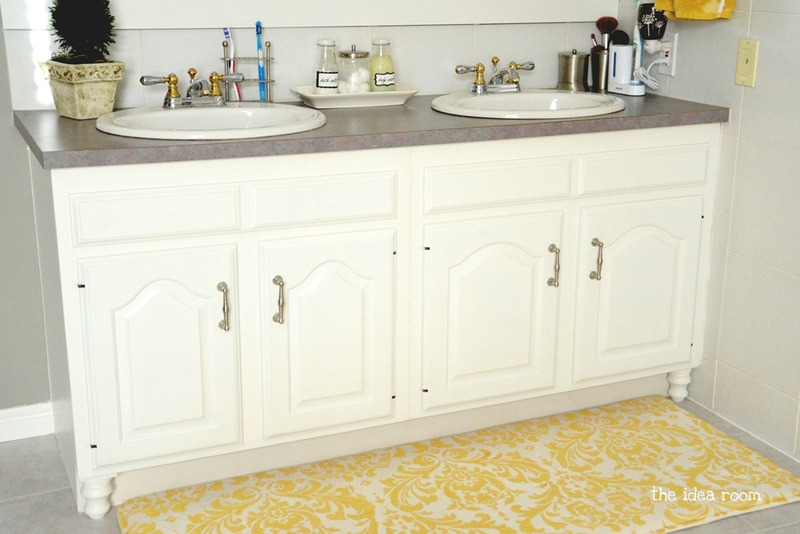 This is was a really easy addition that really made a the regular old cabinets feel a bit more upscale. 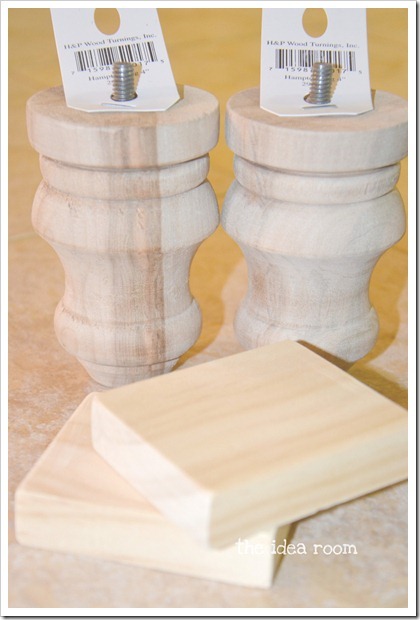 We simply added a couple of finial feet to the base of the cabinets. That is it. I love how they instantly give the cabinet a much more expensive look. We simply purchased a couple of the finial wood accents at Lowe’s who had a pretty good selection with different styles and sizes. They cost $5.98 each. A lot cheaper than those expensive custom cabinets. We removed the screws because we did not want to screw them in. 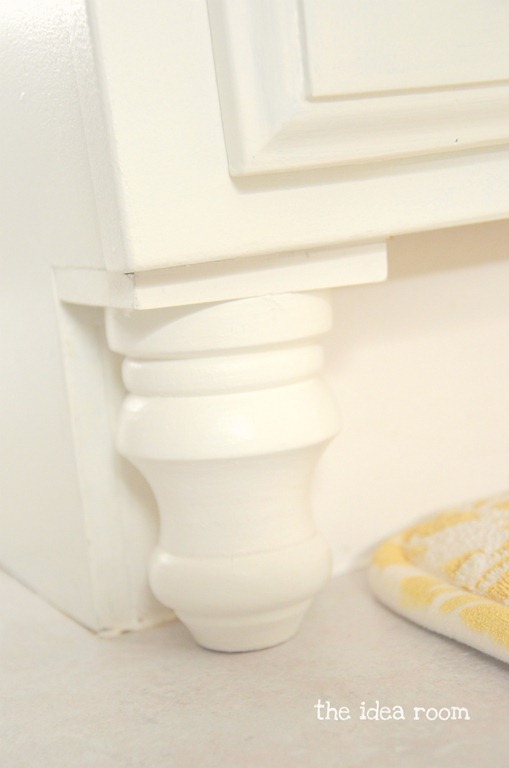 These finial pieces were a little bit too short…so we simply took a couple of pieces of scrap wood and cut them into squares so that they fit perfectly on top of the base of the circle and then under the cabinet. 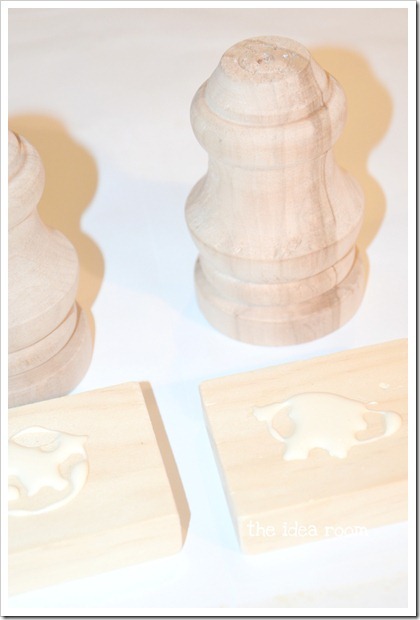 Then we glued them to the big circle with Gorilla Wood Glue. After the glue was completely dry, we painted it the same color as the cabinets (which we painted as well…I will share how we did that later this week as I have had several questions from some of you). We had to paint two coats to cover it completely. Then we simply glued them into place. Then we added a touch of white painter’s caulk to fill any cracks. 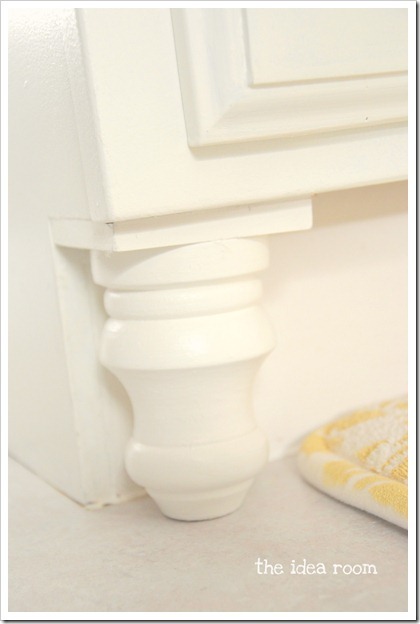 You can also touch up any paint if needed where the new finial foot attaches to the base of your cabinet. And here is the cabinet AFTER adding the finial pieces. 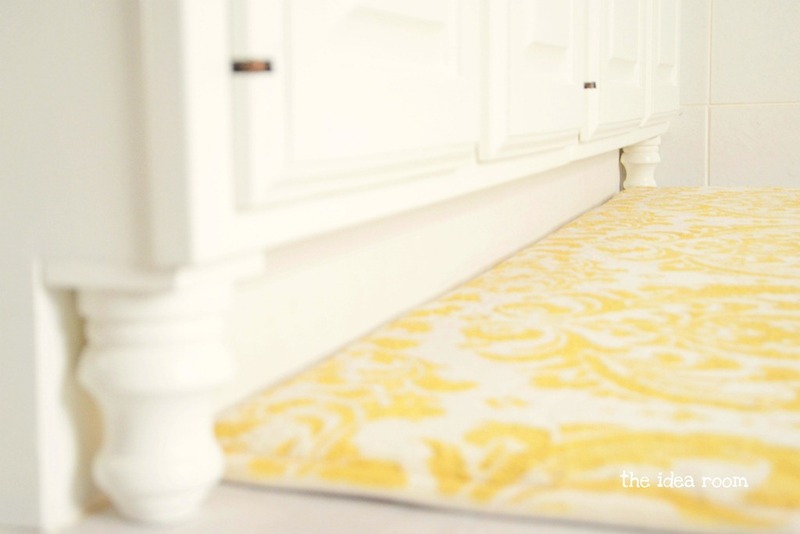 A pretty simple addition that can dress up and update your older cabinets. They look and feel like new cabinets. 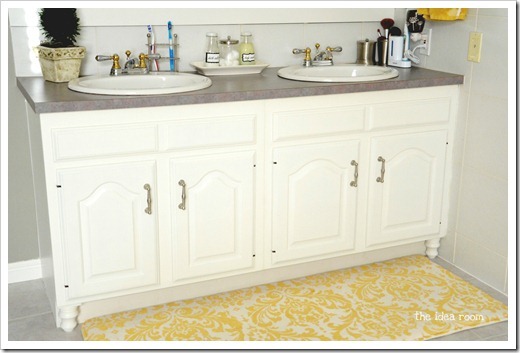 If you are interested in seeing some of the past posts for some of the other changes we made to this bathroom you might want to check out the following posts. And for those who may be interested, the paint color on the walls is Benjamin Moore’s Rockport Gray. 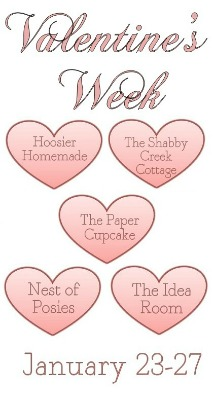 Today is the first day of a week long of fun Valentine’s Day Posts, food, gift ideas and some great giveaways. 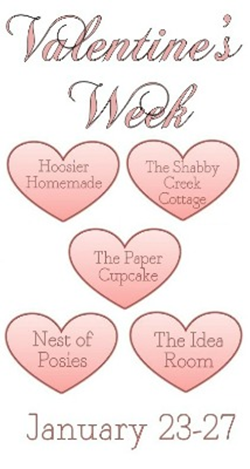 Be sure to head on over to Hoosier Homemade today. Liz is sharing her amazing recipe for Pink Lemonade Pie! Stay tuned for all the other fun! This is such a wonderful tip! Looks amazing & is something even I could do! genius!!!! Oh my gosh, that is beautiful; and for such minimal $$ and time. That was such a great, simple and classic touch. I love it! Do you think it would look well in a kitchen too? I love the look in the bathroom . . . . it looks so elegant! A simple touch that makes such a big difference! love it! wonderful idea! Very simple yet effective. Love it. Love this idea! It’s amazing how something so simple makes such a big difference! Your bathroom is so pretty :). Yet another great idea! I hope to try it at my house sometime. First I’d like to tackle the mirror project. I’ll add this to my list. Thanks for sharing. This is a fantastic idea! I want to do this to ALL my cabinets. Could even work in the kitchen, right? I love this idea! What an economical way to give that high end look. I have to know, though, is it tough to clean between the foot and cab? Love this! Can you tell me what color you used on the walls? Pretty much the most brilliant idea ever! This is brilliant and I am copying you tomorrow! Wonderful tips! How cute is this! Super simple but they make a huge impact! Saving for later! Thanks for sharing! SUPER idea! looks so much more expensive. i think you could go one step further by painting the toe kick behind the feet gray so that it looks like the floor in shadow, and like the cabinets are really standing ON the feet. This is such a great idea. I am putting it on my blog for “Tipsy Tuesday” tomorrow. Thank you soooo much for sharing. I can’t wait to try this out. Thanks Kim! I really appreciate that. Thanks for letting me know. I will have to stop on over! wow thanks for sharing hun, this is a great idea. I was curious, were you afraid that i might not fit? or did you measure the area before? very pretty, but I think adding one in the middle would also be nice on a vanity this long. Love the idea really want to try this!! 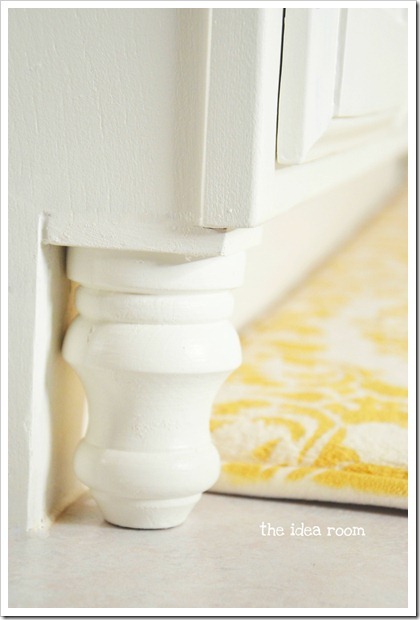 This looks amazing I seen the same thing in a magazine however they painted the bottom of the cabinet to match the floor so it would really show up the feet and make it look like it was floating love it going to do mine like that . Nice to see things upgraded and not just thrown out. Great job on vanity! 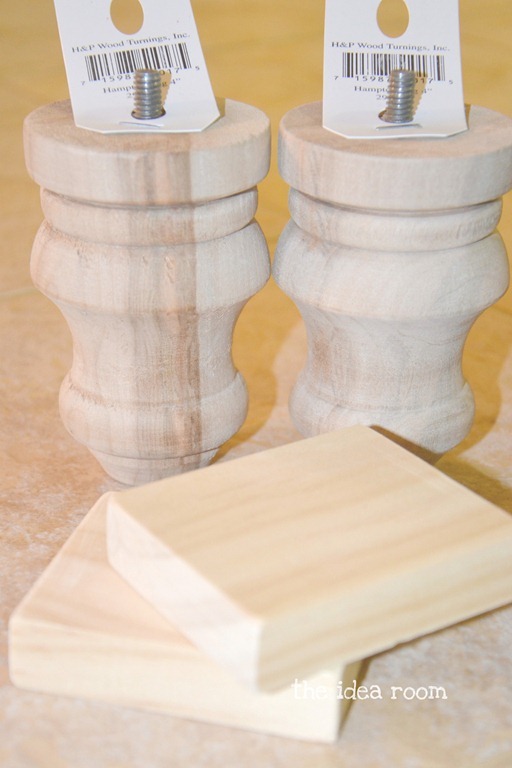 I couldnt find any feet i liked at local lowes or home depot but found a pair of wooden salt & pepper wooden shakers and they fit perfectly for feet when placed upsidedown. Am going to paint them like you did. They were 3 dollars at thrift shop for a pair. Social media enables rapid two-way communications on a massive scale. Page – Lever ‘ Page – Lever allows you to manage your Facebook page and generate more page traffic. bad idea. Do not miss out on this opportunity by utilizing the techniques shared in this article. a real person and not just a business entity. I know this is an old post, but I have a question. I have found the pieces that I want at Lowe’s, but I haven’t bought them because I’m afraid I won’t be able to get the threaded rod out of the finial. Were you able to get “unscrew” it with a pair of pliers or something? Yes! Great question. We just unscrewed that with some pliers and it came right out! That was my question! Thanks for answering, and I love this project! of an ovarian follicle which contains an egg. This is the only way to know that you are on track. This test is sensitive enough to know the result even four day prior to period. There is a place in Franklin, Tennessee known as Dental Bliss, and this place is like no other dentist office you may have visited before. It is advisable to avoid hard candies, ice or stiffer materials to protect bonding from chipping. of symptoms and sickness. Pat Perkins is a copywriter for Yodle Local, a business directory and online advertising company. the orthodontist can custom create the Invisalign trays to properly fit your teeth. The term, “dental braces” usually results in a lot of discomfort among people. This process involves several synthetics that include obturators for the restoration of the defects of maxilla and mandible. 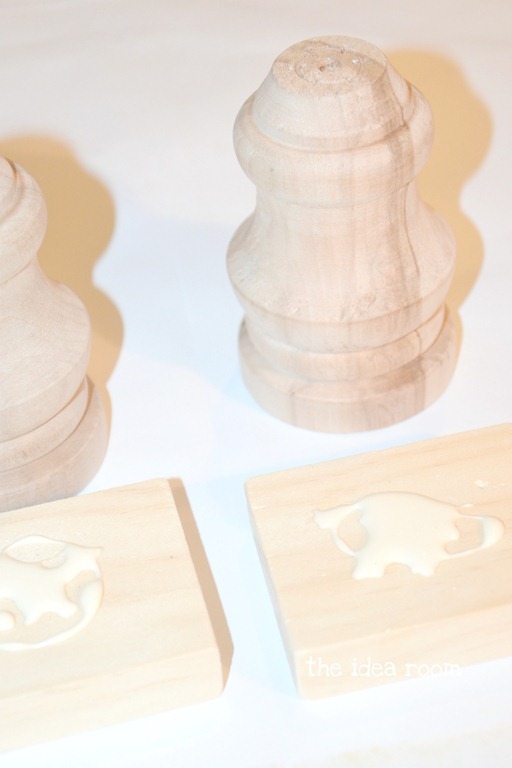 You could even cut one finial in half with a bandsaw and glue each piece to the kick plate for the same effect. Omg! 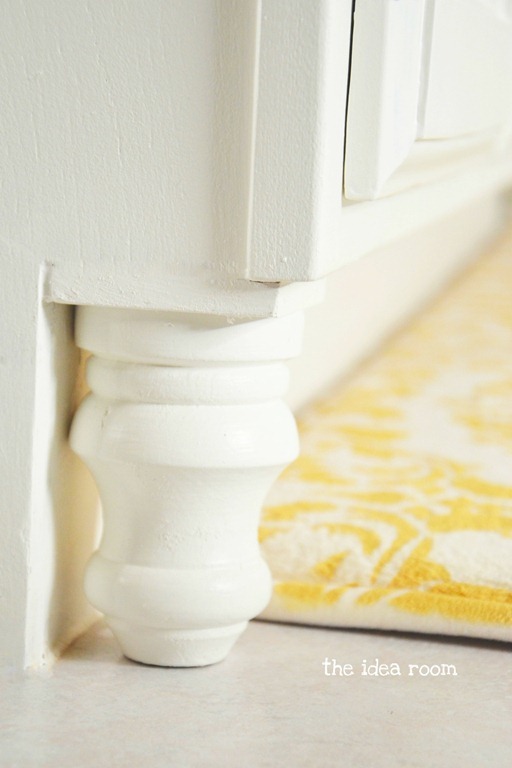 This is so easy and clever upgrade! 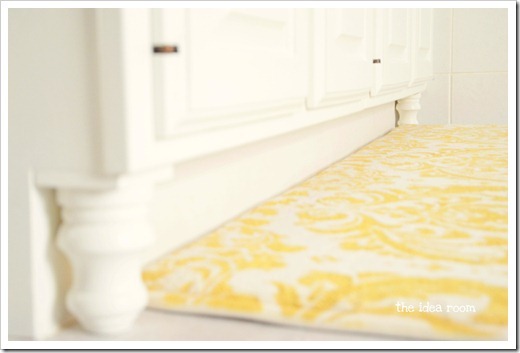 I am stealing the idea as we can’t afford updating the old cabinets as I have 4 bathrooms! 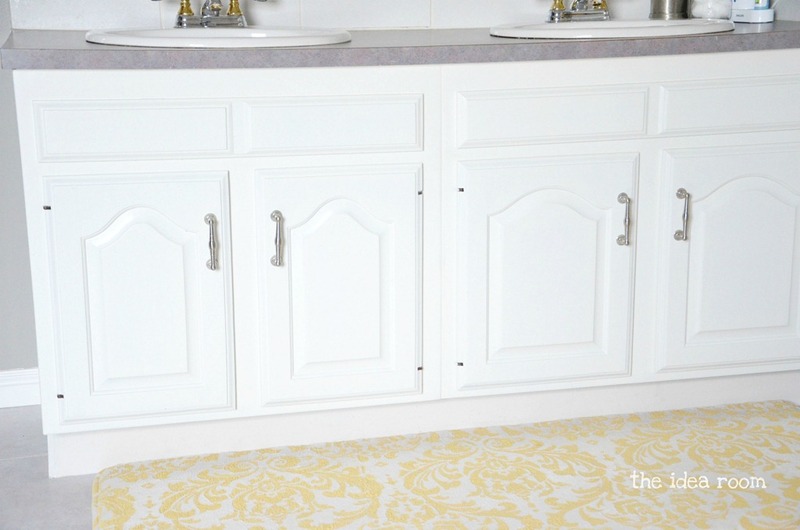 This looks like a higher end grade cabinet and adds value to builder grade cabinets! Hi! It looks absolutely gorgeous! I purchased the same bun feet at Lowe’s a few weeks back but it won’t fit under our vanity with the screws. How in the world did you get the screws out? Lol.. I’ve tried everything! Without the screws it should fit perfectly. Oops just found the answer in the comments. I will try the pliers tonight :) can’t wait! Oh good! Hope it all works out! Lisa- Are you talking about removing the screws from the finials? We did use pliers. It seemed to work. If you aren’t having luck with them though, you may need to cut them off or find ones without the screw.